Walker & Company, 9780802736109, 342pp. After breaking up with her bad-news boyfriend, Reagan O'Neill is ready to leave her rebellious ways behind. . . and her best friend, country superstar Lilah Montgomery, is nursing a broken heart of her own. Fortunately, Lilah's 24-city tour is about to kick off, offering a perfect opportunity for a girls-only summer of break-up ballads and healing hearts. But when Matt Finch joins the tour as its opening act, his boy-next-door charm proves difficult for Reagan to resist, despite her vow to live a drama-free existence. 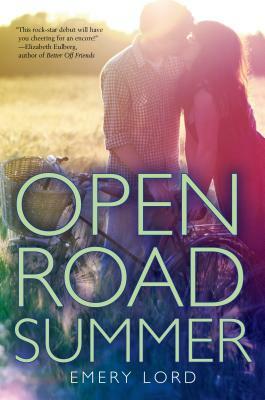 This summer, Reagan and Lilah will navigate the ups and downs of fame and friendship as they come to see that giving your heart to the right person is always a risk worth taking. A fresh new voice in contemporary romance, Emery Lord's gorgeous writing hits all the right notes.